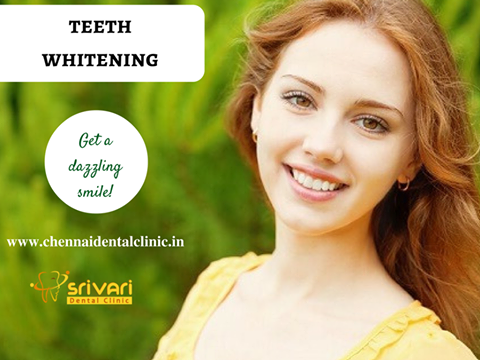 Tooth whitening is a kind of cleaning process through which yellowish layers and stains are removed from the surface of the teeth. This process helps to give pearl white teeth and improves all-inclusive look irrespective of genders. Among the modern cosmetic dentistry tooth whitening is very popular whicha is performed by dentists. The whitening procedure is mainly categorized in two significant types non-vital and vital whitening. Non-vital whitening is basically applied when single tooth becomes discolored after treating root canals. Through this procedure the discoloration can restore. This procedure can be applied if no living nerves are there inside the tooth. Various chemicals are associated with vital whitening. From hydrogen peroxide to laser rays are used to bleach the tooth. The entire procedure is done in the chamber of dentist as it requires numerous apparatus.